From entry-level jobs to student opportunities to full career paths, the state of California offers a wide variety of opportunities for job applicants. The state offers comprehensive benefits for its employees, who provide essential and exceptional service to millions of Californians every day. 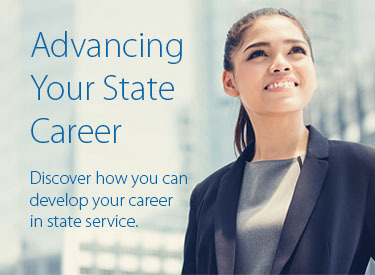 Learn about the services and benefits we offer state employees. For new employees, we offer an orientation to help you navigate the intricacies of state service. For current employees, we offer details about benefits, training, and promotional opportunities. As a supervisor or manager, you can find bargaining unit contracts, a hiring toolkit, as well as training courses for your employees. You can also learn more about performance management and the merit award process to recognize your employees for their hard work. We have tools to assist HR professionals in managing their workforce and applying personnel policies, from recruiting and hiring applicants to administering benefits to workforce planning. The Tribal Consultation Policy aims to ensure effective government-to-government communication and consultation between CalHR and California Indian Tribes, consistent with the mission of CalHR. It is the policy of the California Department of Human Resources (CalHR) to provide service in the language of our customers.